This spring is super exciting for me! Not only did the Chicago Cubs win the World Series last year, but I was also honored to have been asked to paint this Ernie Banks mural at the new flagship retail store in Wrigley Field. I was raised in rural Illinois in a baseball loving family. I feel like I lived at our local ball fields during the summer watching my Dad play ball. My mom used to sing “Take me out to the Ball Game” to my sisters and brother and I when she put us to bed, so I’ve always had a special place in my heart for that song and for the Cubs. After graduating high school, I moved to Chicago to study art at Columbia College and I was able to get to Wrigley Field much more often. I have such fond memories of sitting in the bleachers on a sunny day with my friends and fellow fans. Nothing better than a summer afternoon in the friendly confines! 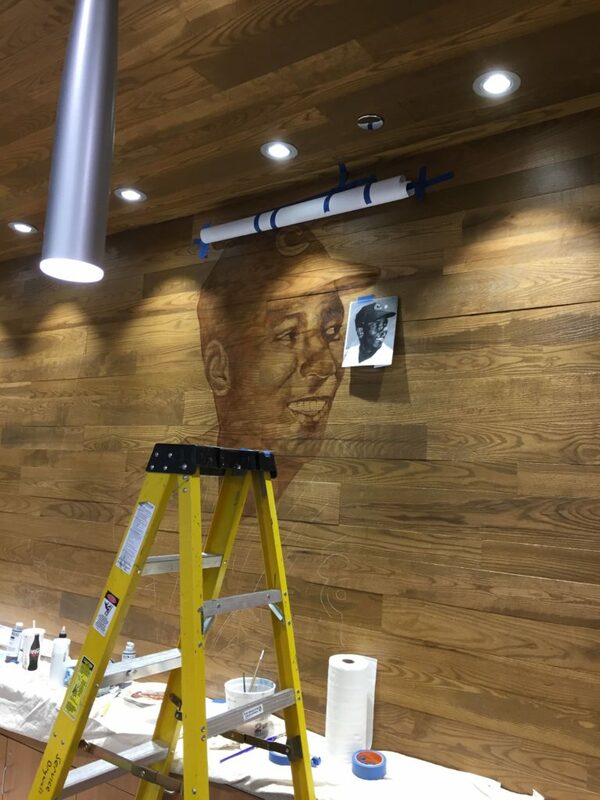 So when I was contracted to paint a mural of Cubs legend Ernie Banks in the new retail store located in the plaza just behind the field, I couldn’t wait to get started. What an honor! Although I’m focussing more on my inspirational paintings and products than murals these days, I couldn’t say no to this incredible opportunity to be a part of Cubs history and connect with my fellow Chicagoans. It was so fun to see all of the improvements and new additions to Wrigley Field as it was happening! The mural was actually painted on a wall that was assembled with wood that was made from ash trees that had been taken down in the Wrigleyville area. So cool, right? The Cubs management requested that the image be very subtle and almost “ghosted” onto the wood, much like a “woodburning” sort of look. I was able to achieve that effect by using a lot of glaze with my acrylic paint and building up the image very slowly until I could see Ernie start to come to life out of the wood grain. All in all, it was such an amazing experience! I will certainly enjoy being able to check in on Ernie whenever I go to a game. I’m so thrilled I was given the opportunity to connect with Chicago and with Cubs fans via my artwork. 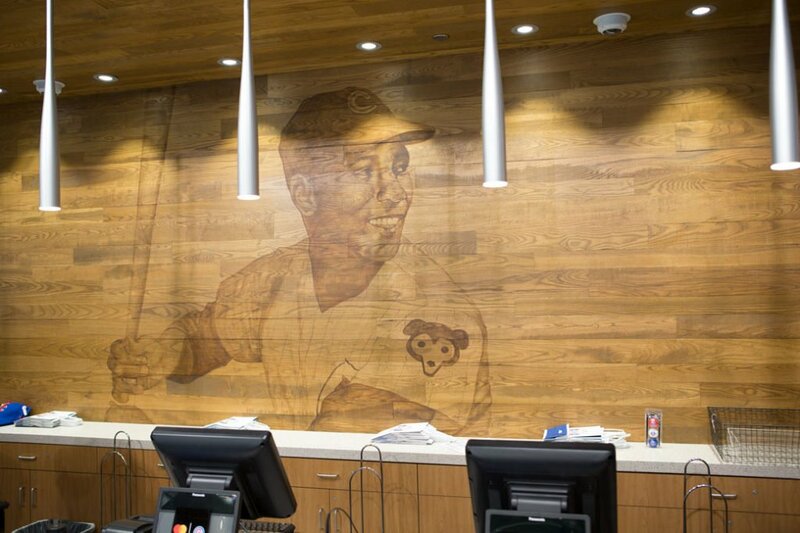 The completed Ernie Banks mural located at the Cubs retail store. 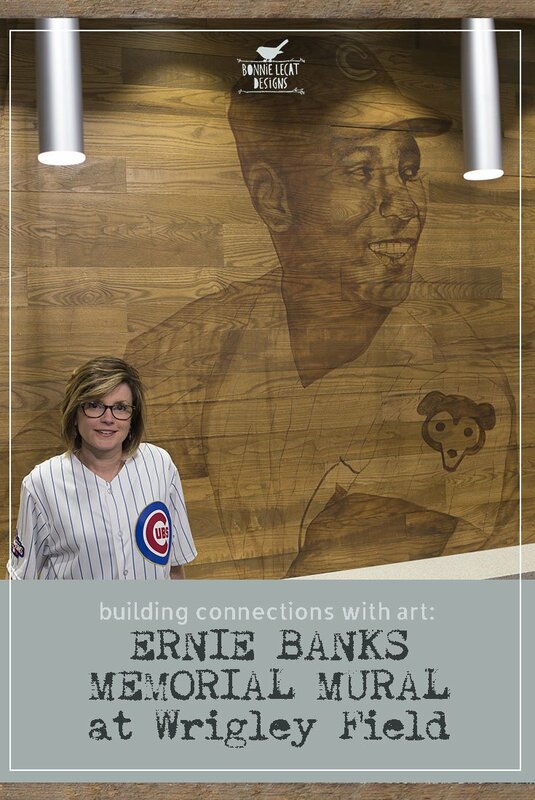 If you happen to find yourself at Wrigley, please stop in to take a look and if you can snap a pic of yourself with the mural, tag me at #erniebanksmuralbonnielecat. Go Cubs!! 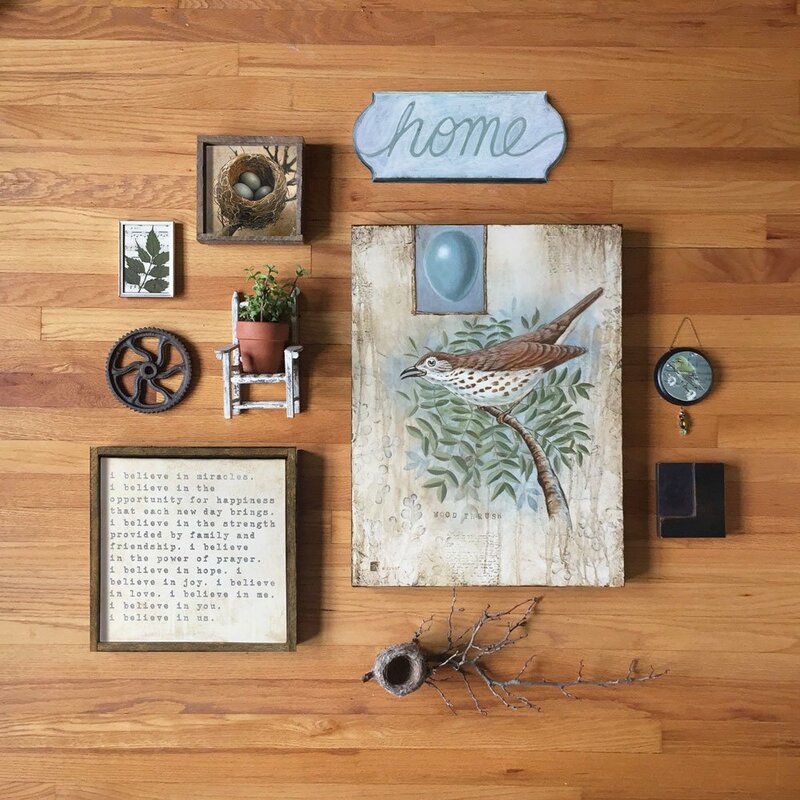 ← Building Connections with Art: “I BELIEVE IN US.” – How this simple prayer and daily intention changed my family. Such a great story and incredible job you did!! !